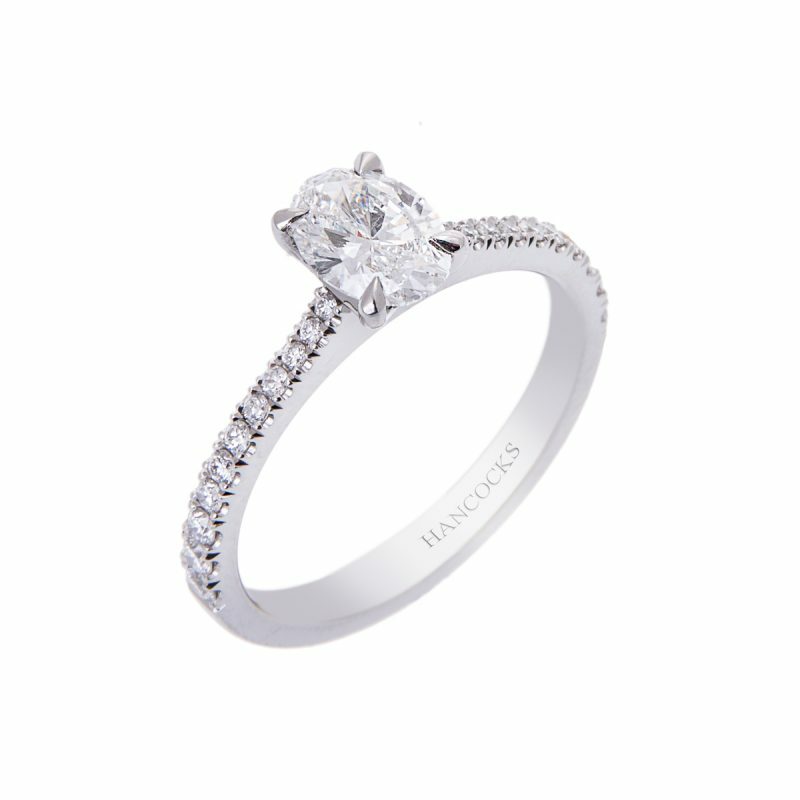 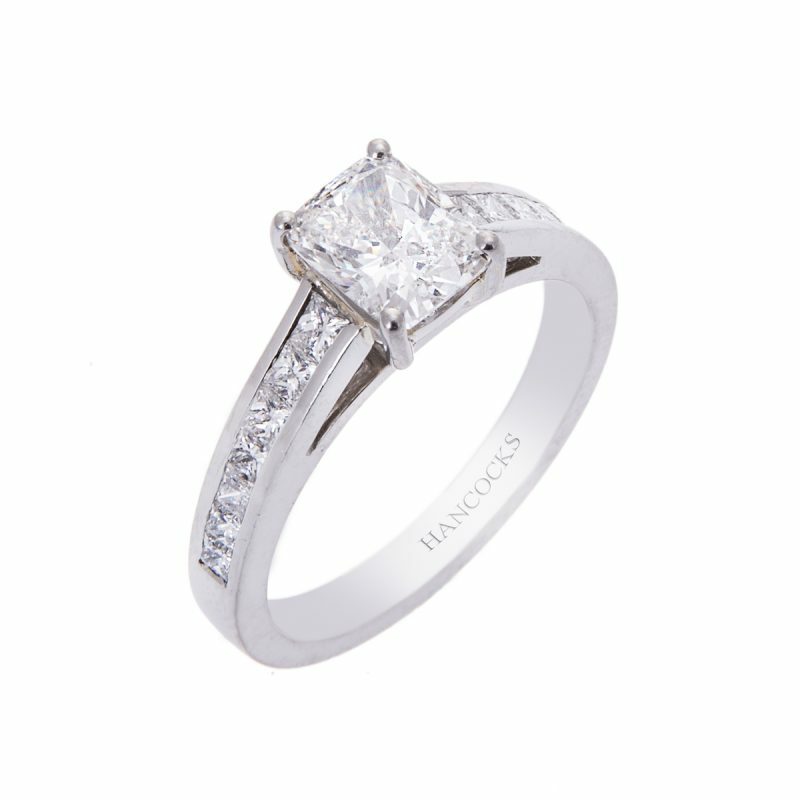 A timeless diamond engagement ring with a central 1.10ct certificated cushion cut, mounted in a handmade platinum 4-claw setting. 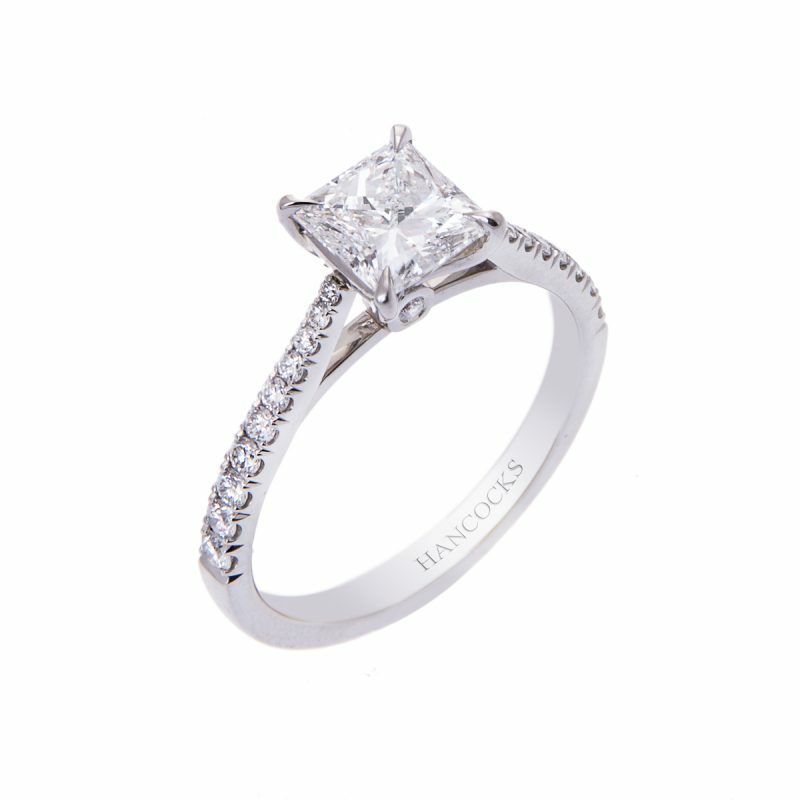 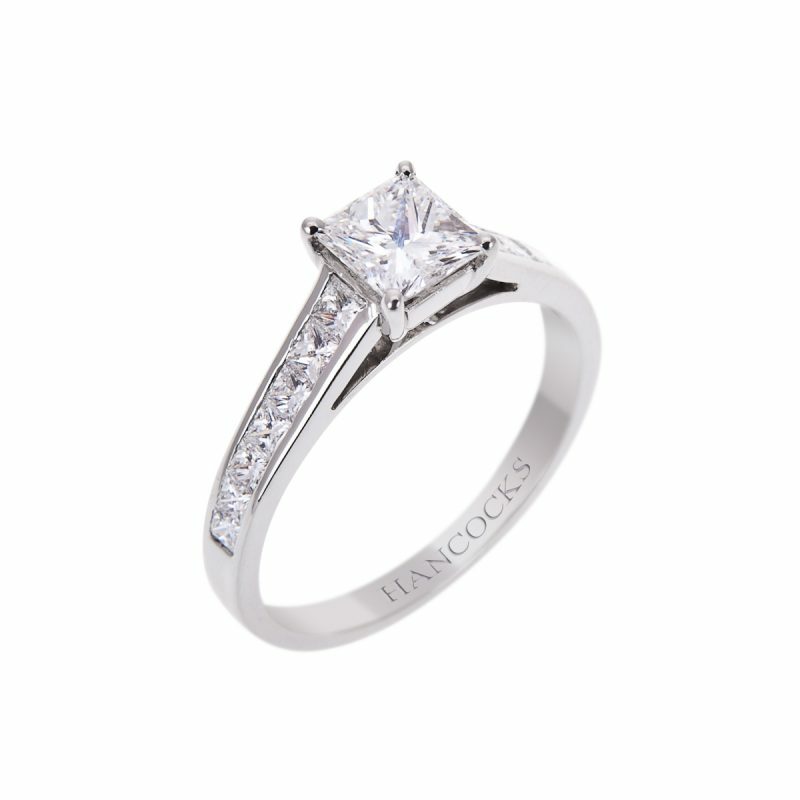 Complimented by a row of channel set princess cut diamonds that run along each shoulder, creating an understated ring with a vintage feel. 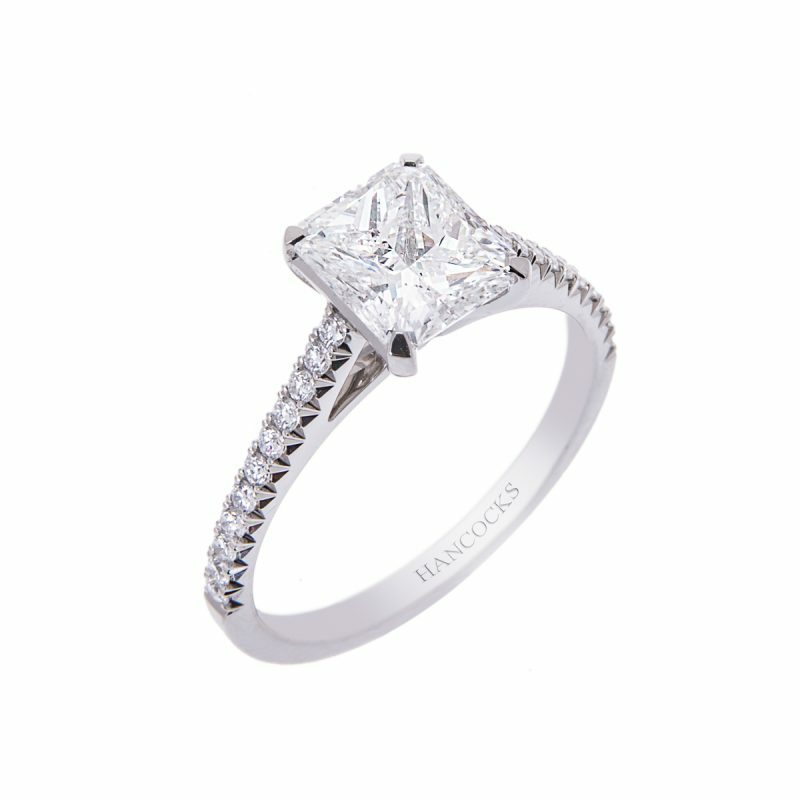 A perfect combination, contrasting this unusual with the sparkle and fire of half a carat of princess cut diamonds to make this opulent ring that is worlds away from the mundane.